Place the dough on a tray along with the baking paper. Spread the cream cheese over the top, leaving a border of approx. 1.5 cm all the way around. Top with the spring onions and tomatoes, season, drizzle with oil. Bake for approx. 15 mins. on the bottom shelf of an oven preheated to 240°C. 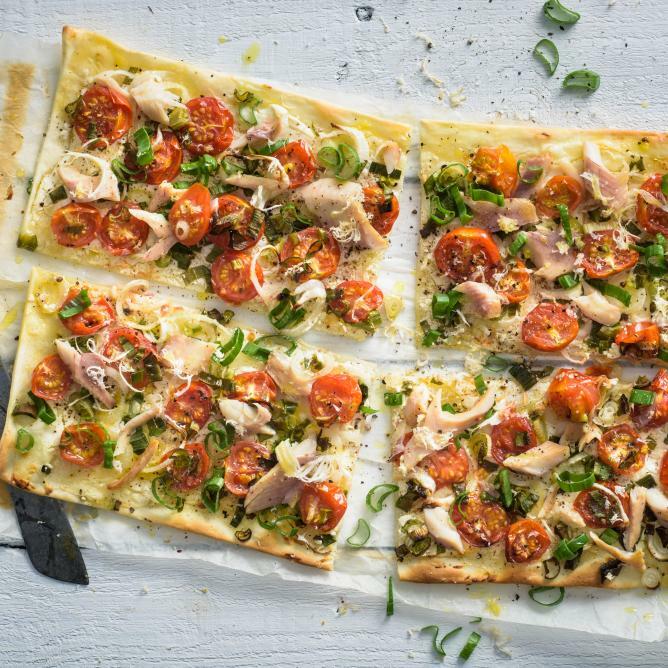 Remove the tarte flambée from the oven, top with the trout fillets and horseradish.